How to create a detailed site map. Creating a detailed map allows you to set up the space and envision how it will come together. The map helps you with all aspects of the event. It will help you be more efficient and will even save you money. Your staff, vendors and volunteers will be grateful for the detailed map. First determine the entrance(s) and exit(s). You want to predict the flow of people. And make sure your entrance is conducive to quick and efficient entry. If the event is in a populated space or the number of attendees requires it, make sure you plan for traffic with appropriate staff. This may include involving the city and neighborhood in your planning. The site map will be very important here! 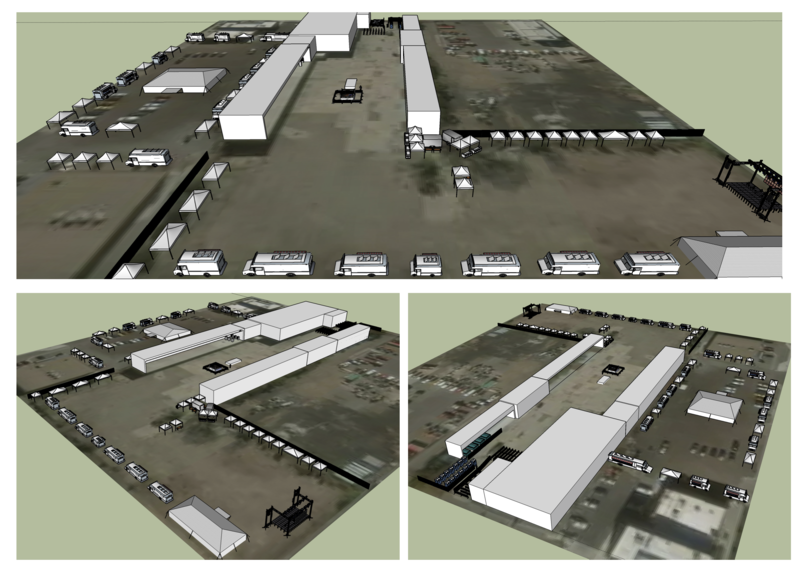 Vendor load in can go smoothly and quickly with a detailed site map. Giving a load in time or time range will help with flow. Label clearly the utilities and equipment. Power (generators), water, trash, etc. Consider a VIP component of your event. A special entry line and area for a higher priced ticket. Having a customer service or information booth will help alleviate issues.